With the explosion of the crossover market in the past decades and modern design cues, SUVs have largely gained a more appealing appearance. But there are still some ugly ducklings. Below are our picks for the three ugliest SUVs of 2013. This model is on the top of every critic’s eyesore list. The photo galleries show a very sleek, stylish machine, but after a few moments of gazing, car shoppers begin to scratch their heads – and RUN. 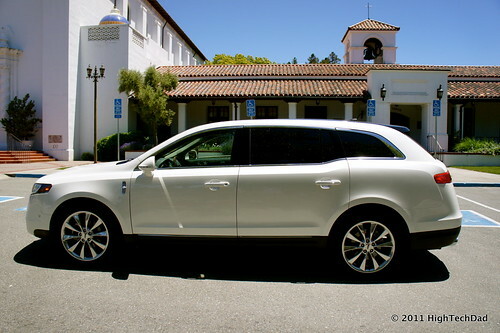 The 2013 MKT features a divided front grill that looks like a Lincoln. But it’s all downhill from there. The long – very long – hood creates the impression that the cabin has been smashed backward from a low-lying overpass. And the model’s rear appearance is downright hideous. With this sufficient deficiency working against it in a big way, Lincoln stresses the interior convenience features of the 2013 MKT, and consumers will be pleased with how fully loaded this vehicle is. The SYNC® with MyLincoln Touch™ is standard equipment. The power panoramic roof is offered on the uplevel 200A and 201A trims, and the car comes with the choice of a 3.7L V-6 or 3.5L turbocharged tri-VCT engine. Seven passengers are seated rather comfortably in the spacious cabin. The 10-speaker audio system is superb, with the uplevel 201A version equipped with a THX certified audio system. If it wasn’t for the hideous-peculiar exterior, this model could be a player in the three row luxury crossover segment. The Murano CrossCabriolet version is one of the strangest looking convertibles on the market. The power convertible soft top doesn’t seem to belong to the rest of the vehicle when it is in place. When the top is down, it looks as if a piece of the rear top is missing from behind the back seats. The model comes with a 3.5L V-6 engine that produces 260 horsepower. All the usual power-adjustables are found on the base trim. The model comes in only one trim line and is loaded with features including 4-way power front passenger seat, speed-proportional power steering, and a rear view camera. 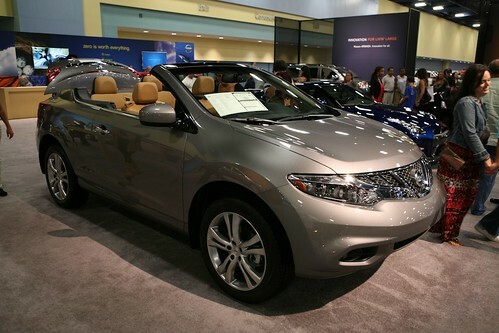 The Murano CrossCabriolet actually looks quite handsome with its top down. But it’s rear exterior takes a turn for the worse with the top up. What is really ugly about this model is its price. With an MSRP over $51,00 for 2013, this Nissan niche crossover is not likely to many more model years. But owners can claim the notoriety of owning the first convertible crossover. 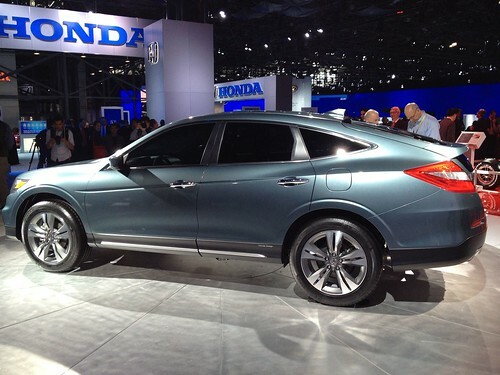 The 2013 Crosstour from Honda looks like a passenger sedan but is built much like a crossover SUV built to take on the likes of the Toyota Venza. The Crosstour has a modest cargo area in the back, and the rear hatchback door makes it easy to load very bulky items. The seating is comfortable enough, and the vehicle comes loaded with a huge number of convenience features. The problem with this car is its outward appearance. It looks a bit like the Dodge Intrepid from the late 1990s, especially the convex roof that slopes rather inelegantly toward the rear hatch. The front fascia, headlights, and grill resemble the smiling shark from that popular Pixar movie. The base model comes equipped with a 192-horsepower engine, and the Variable Timing Control™ is a nice addition. The ride is comfortable enough, and if one can get used to the sedan-like appearance, the vehicle actually does work as a small SUV. However, it’s sloping coupe-like exterior really cuts into its cargo capacity and utility. These ugliest SUVS for 2013 may have poor exterior styling, but that doesn’t mean it carries over to the interior amenities or safety technology. All three of these models are nicely equipped. However, they do leave the consumer wondering just what was intended by the designers and companies that built them. Which model do you think is ugliest? Vote in the poll below or let us know in the comments. Which model is the ugliest SUV of 2013?